As professional English language trainers, we are often asked what differences there are between general everyday English and business English. Although there’s substantial overlapping going both ways, there definitely are some clear differences. The objective of business English classes is to enable students to feel more comfortable in one’s working environment where specialised English is the norm. Business idioms are something that confuse a lot of people as the direct translation makes no sense, 'up in the air' but what is up in the air? Something that can confuse you and cause you lose track of a conversation or in a meeting can be problematic, so lets take a look at 17 Business English idioms, expressions and phrases that anyone in business should know so that this problem never happens to you! The first clear difference between general English and business English is one of vocabulary rarely used outside of a business setting but which is commonplace in corporate settings. Without even getting too technical we could mention financial vocabulary such as: bonds, bankruptcy, broker, commodity, depreciation, dividend, gross domestic product (GDP), margin call, to short sell, to wager and so on. All rather habitual terms in the business world, but seldom used outside it. Business English and General English have much more in common when it comes to idioms, expressions and phrases. For non-native speakers, it is essential to understand some of the most familiar expressions used by us Anglophones in order to reach and maintain an advanced level of English. What follows are a few essential ones that you are more likely to hear in the business realm but that can also perfectly be used after work in social life. This phrase comes from sports, like basketball for example when a player is trying to shoot from a long distance. It means something that is unlikely to happen. With very little chance of success. Example: Getting a senior position in the corporation one day is a long shot, but if you don’t try you’ll never find out if it’s possible. This expression means to start something again from the beginning because it’s not working as you would have liked or expected. Example: This project is not going as planned, let’s get back to the drawing board and fix what’s going wrong. To control enough quantity of a product or service that enables one to then change the market price willingly. It can also mean to be the only one making or providing a given product or service. Example: Intel has pretty much cornered the market of microprocessors for servers. Their direct competition, AMD, is a distant second. When you are unable to carry out any meaningful action because of regulations, rules or other people with authority. Example: I wish I could help you cut through all this red tape (another business idiom meaning administrative procedures) but my hands are tied. My boss won’t let me. When things are highly uncertain, when a decision has not been made yet. Example: We were hoping to sign the contract by the end of the month, but there are still too many things up in the air we need to deal with first. To learn the basics of a profession, a specific task or activity. Example: It took her a while to learn the ropes, but now she is confident and we feel that we can count on her to manage her client portfolio effectively. The process of learning, usually from trial and error. We often say that there can be a steep learning curve, which means that one has to learn things quickly in order to meet the requirements of a specific job. Example: There was a steep learning curve when I started out trading stock options, but I now feel like I’m finally getting the hang of it (another idiom which means to master something). An expression that comes from boxing. To swing, means to throw an arcing punch. The expression refers to someone who fights to very end, who never gives up until it’s completely over and there is no possibility of victory. Example: The future of our company is uncertain due to our massive debt, but I can guarantee that we will go down swinging whatever happens, we will not give up easily. To do things strictly by the rules. Example: I don’t want to take any chances getting caught by the financial regulators and having to pay significant fines. We have to do everything by the book. Almost the opposite of by the book. This means to do things in the quickest and cheapest way in order to save time and money but often compromising quality and bending the rules (another expression which means not strictly following all the rules). Example: The company’s decision to cut corners ended up costing them dearly when they got caught red-handed and had to pay a huge fine for committing fraud. When there’s no easy way out or good solution. Whatever you do, whichever option you choose, the outcome will not be ideal. Example: Management finds itself between a rock and a hard place after the corruption scandal that has erupted. Either they file for bankruptcy and hope that law enforcement forgets about them, or they stay in business and run the risk of going to jail. To build or start something from nothing, from zero. Example: Building a company from the ground up can bring you great pride if you are successful. Usually referring to the final profit margin of a business when all expenses have been paid. Example: At the end of the day, what shareholders really care about is the bottom line which will determine the dividends they take home every year. To start getting serious about something. Example: We’ve wasted enough time debating on the official launch date. Let’s get down to business now, we have work to do. To update someone on the current situation or to give them all the necessary information to allow them to complete their task or fulfill their mission. Example: Why don’t you come to the office and I’ll take the time to get you up to speed before we go to the meeting. Example: I don’t understand why there are so many mistakes in this report. It’s really not rocket science! To think unconventionally, creatively and explore new non-conformist ideas. Example: If you want to succeed in this highly competitive economic environment, you have to think outside of the box to gain an edge on your rivals. These are just a few examples of the countless colorful expressions you can use to enrich your speech and start mastering the English language like a native. Why not test your level here? If you’re serious about progressing, then you should definitely explore the numerous possibilities out there that’ll help you reach a level of proficiency necessary to excel in the modern business world. For businessmen and women on the move needing effective one to one lessons with trained professionals specialised in business English, Skype English classes with qualified native teachers are quickly becoming a sought-after option thanks to their flexibility, personalisation and affordability when compared to conventional group lessons in physical academies. Today’s guest post comes from David Ergas, Class Coordinator for Break Into English. 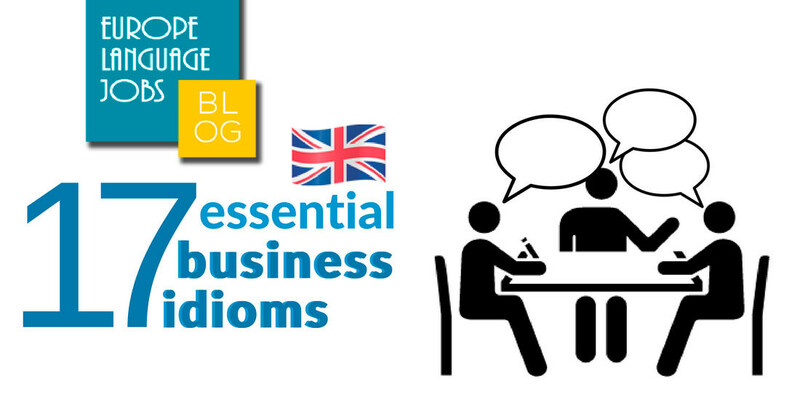 Now you've got some extra English skills in your artillery, don't be afraid to breakout your newly learned Business English idioms in conversation and why not check out English Speaking Countries in Europe to see where you can use these skills. Very helpful indeed. Loved the write-up. Great article! i didn´t know some of them ( like to corner the market and to go down swinging). Hi. Great post. Thanks for the help!!! Great and helpful article! Thanks for that! Like the write up, quite apt. Helpful post because learning a language is not only to know the grammar and the vocabulary but its idiomatic expressions too. Its so True we all learn Fast and move on, its life and special in Our Business world. 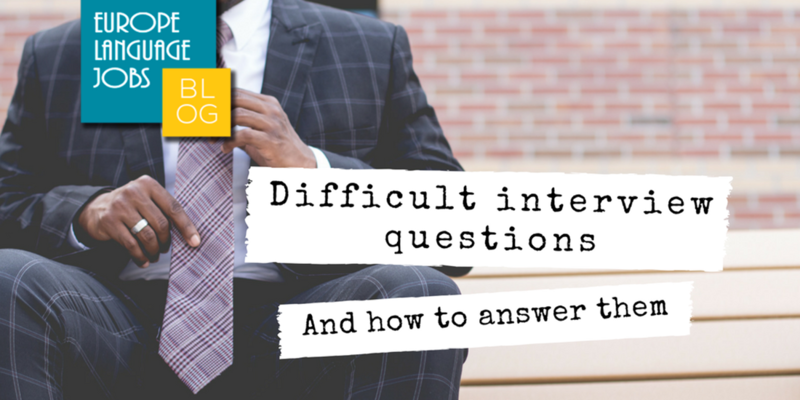 Preparation is key before going to an interview, which is why we have compiled a list of the most difficult interview questions for you and how to answer them. 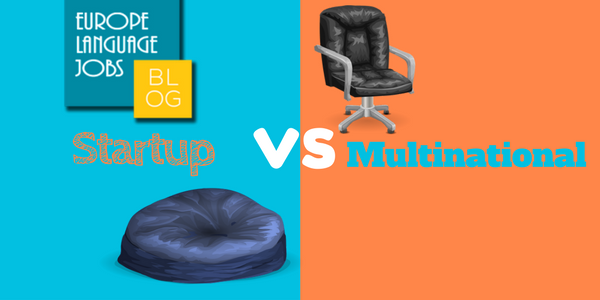 STARTUP VS MULTINATIONAL: WHICH IS THE ONE FOR YOU? Beanbags or office chairs? Trainers or shoes? Pizza Friday or Friday tie day? You need to weigh up what things you value before you start applying to jobs.